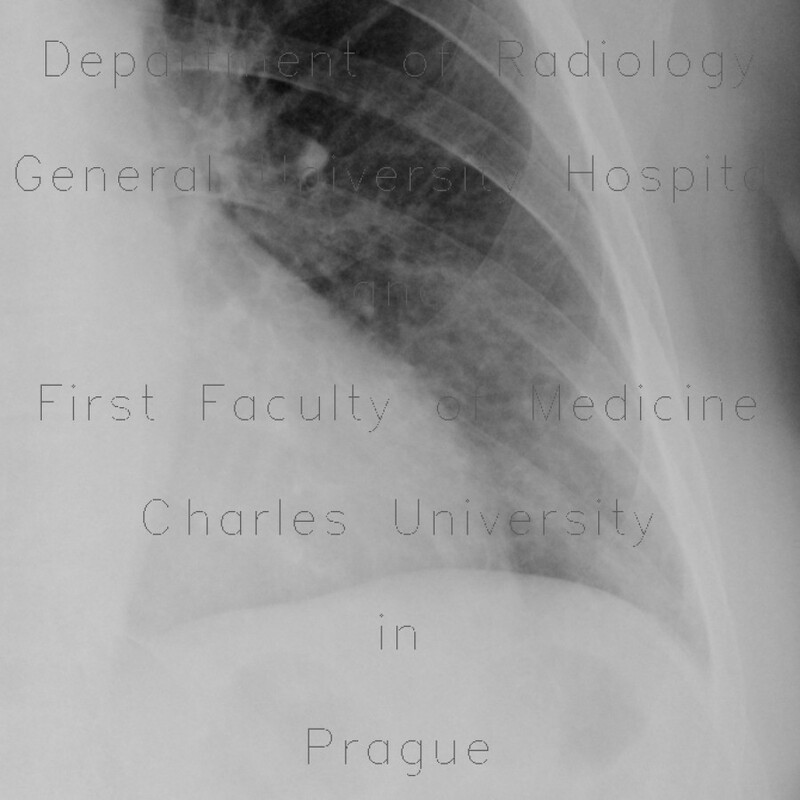 Plain chest radiograph shows a well-defined opacity in the left lower lung field. CT confirmed a well-defined nodule in the periphery of the left lower lung lobe most likely consistent with chondrohamartoma. Note also almost diffuse ground-glass opacities in centrilobular location - an unspecific finding.